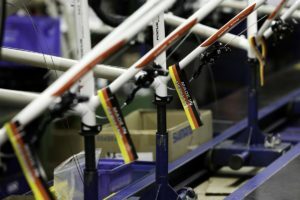 FRIEDRICHSHAFEN, Germany – Europe’s 5th largest bike supplier is to start making carbon frames and forks beginning 2015. They will be offered on an OEM basis as framesets or as complete bikes. Production in Bangladesh with duty free export to EU will force prices for carbon bikes down further. 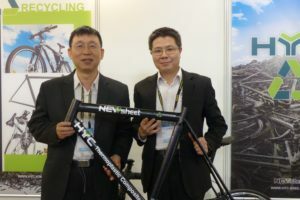 Meghna Group will start producing carbon frames and forks in Bangladesh. 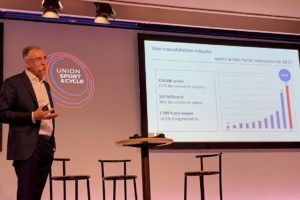 At last August Eurobike Show Meghna Group Chairman Mizanur Rahman told Bike Europe that construction has started for a complete new carbon factory in which 5 million US dollar is invested. Meghna is making its start in producing carbon frames and forks in cooperation with ADK Technology Ltd from Taichung, Taiwan. This company now has over 1,200 employees and offers OEM/ODM made carbon frames & forks as well as handlebars, seatposts, rims and wheels. ADK Technology will provide the technology as well as the carbon material for production at Meghna. In the start-up phase of the new factory Meghna will receive carbon made frames and forks in primary form from ADK China. 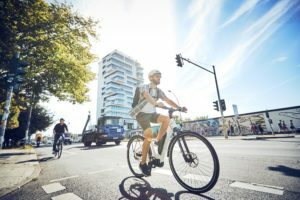 Finishing the primary forms of carbon frames and forks and in future possibly also carbon handlebars, seatposts, rims and wheels, in Bangladesh saves labour costs significantly. And even more when other labour intensive activities like applying decalls and painting takes place in this developing county. According to Meghna chairman Rahman it will reduce production costs by about 15%. And possibly even more when Meghna Group takes up the entire production process in two to three years. 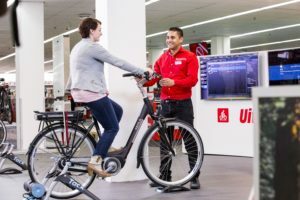 This will bring down prices further for (e)bikes fitted with carbon frames and forks as well as for other carbon components. At last month’s Eurobike Cube presented the lowest priced carbon road racer of the show that had a price-tag retailing the bike for 1,299 euro. Two years ago Cube did the same; setting a new price standard for carbon bikes. At that time it stood at 1,499. Bike Europe asked a renowned carbon frame maker at Eurobike if his FOB Shanghai prices dropped significantly? He said no and that they remained at high in the ‘two-hundreds and low in the three-hundreds,’ depending on the order. With production in Bangladesh and with (GSP+) duty free import in the EU, that price level will undoubtedly drop.